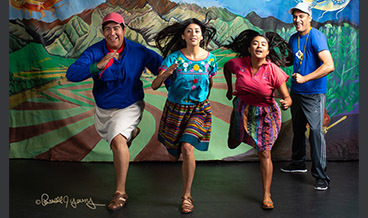 Teatro Milagro is Milagro's national touring company. Four teaching artists perform the programs and lead workshops and residencies. 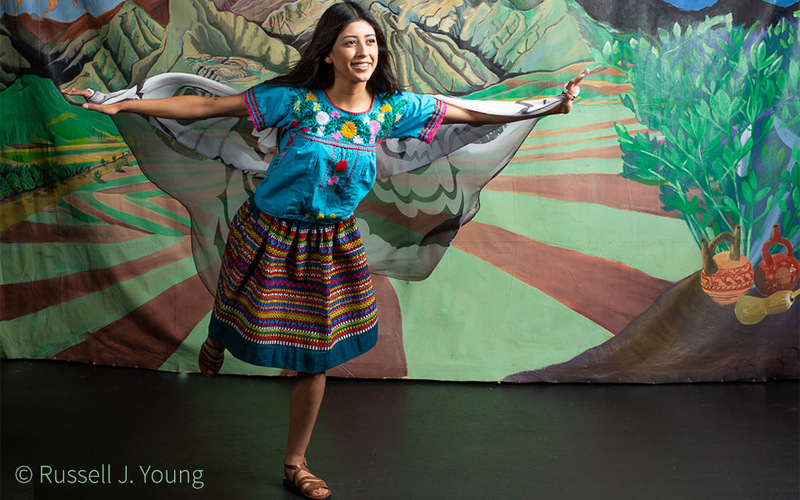 In the 2017 – 2018 season, Milagro teaching artists reached over 12,000 students in grades kindergarten to graduate school. Workshops and residencies are designed with existing curriculum of teachers in mind. 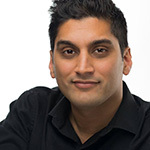 Ajai Terrazas Tripathi is a playwright, performer, director, and teaching artist from Corvallis, Oregon, where he graduated from Oregon State University with a BA in Theatre. Ajai has directed and produced two original plays, The Death Rattle and The Anti-Bullying Project, as well as Doric Wilson’s Street Theater and Rhinoceros for OSU. 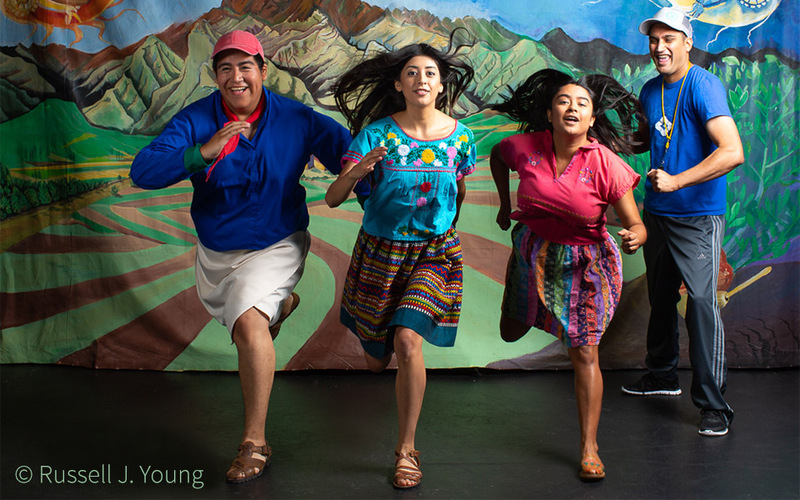 As Teatro Milagro’s Tour Manager and lead teaching artist, he has facilitated social justice theatrical workshops in universities throughout the country and performed in productions such as El Payaso and Searching for Aztlán. As a resident playwright, he has written the acclaimed touring shows Sueños de Fútbol and Mijita Fridita for young audiences. He also assists with grant writing and development for Milagro programs. Lawrence Siulagi is a performer, director, sound designer, projection designer and music composer from San Diego where he pursued a Bachelors in the Dramatic Arts with a directing emphasis at San Diego State University. He has composed original music for three Milagro national touring shows: El Tesoro, ¡Super Ana! and ¡Corre Corre! Lawrence also designed projections for Milagro’s Oyé Óya (dir. Estafania Fadul) and American Night (dir. Elizabeth Huffman) as well as sound designs for such shows as Astucias Por Heredar Un Sobrino A Un Tío (dir. Robi Arce), Bi– (dir. Georgina Escobar), and Searching for Aztlan (dir. Lakin Valdez). Sarah Andrews holds a BFA in Acting from Central Washington University. Directing credits include Heart Play (Beady Little Eyes), Thom Pain (based on nothing) (Crave Theatre), and the world premiere of From the Ruby Lounge (Steep and Thorny Way to Heaven). She wrote, produced, and directed two puppetry productions: an original adaptation of Life is a Dream, and the children’s show Pearl and the Five-Headed Dragon. She works in projects such as Washington’s Buskers In The Burg and Seattle’s Summer Solstice, and has taught workshops at the Kennedy Center Theatre Festival in Boise, ID. Sarah is a theatre artist who puts her soul into her work and looks forward to exploring the creative possibilities the future has in store. 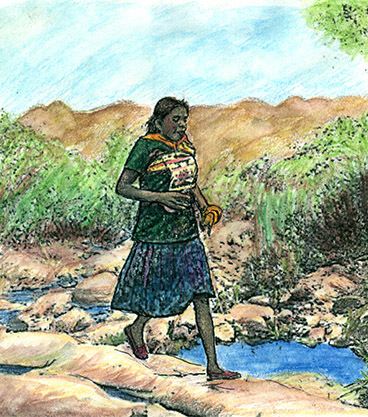 Gabriela Portuguez was born and raised in East Los Angeles, California. A LatinX professional trained in performing arts and early career in Business Marketing has led her through numerous artistic roles: Choreographer/Stage Director, Director/ Producer, Arts Educator, Actress, Arts Marketing/ Public Relations, Dance and Fitness Teacher. Her creative influence in choreography is credited to her training in Los Angeles and Portland that established her career in teaching and performing in US universities, various dance studios on the West Coast and abroad, performing in corporate organizations, media, and commercial videos. 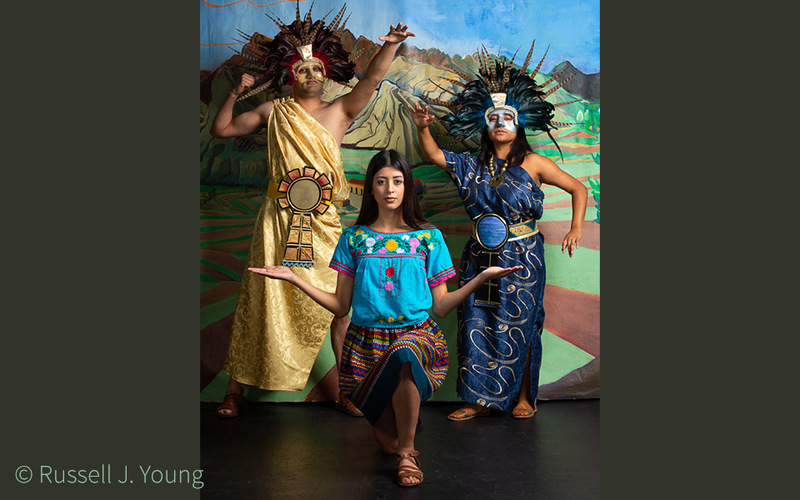 Her projects with Teatro Milagro have been ongoing and creatively inspiring, from the start of Voz Alta in 2009 to the upcoming production of Judge Torres premiere in January 2019.